The new generation of Elgas Electronic Volume Converters (EVCs) provide all the functions of the Elgas advanced datalogger together with the quality, reliability and accuracy required for an EVC. The single unit eliminates the need for separate units in the field, improving system reliability. The new generation of EVCs provide an ideal solution for simple and sophisticated telemetric data-collection at an affordable price. 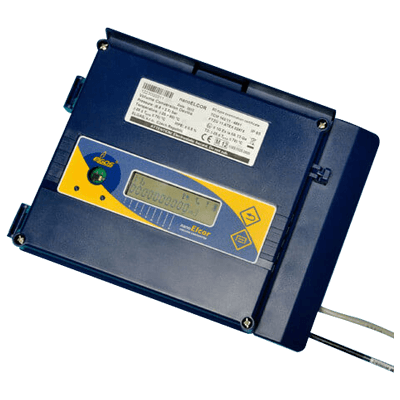 The units are easy to install, require no additional piping, and come with different levels of functionality, depending on the customers’ needs, to meet all the demands of a datalogger and EVC within the modern gas industry. 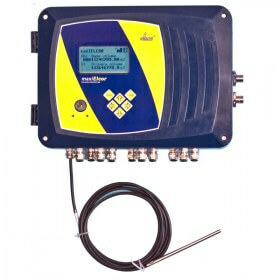 The battery powered nanoELCOR with integrated GSM/GPRS modem can be installed as a stand-alone volume corrector. This device is designed to be mounted onto diaphragm gas meters, offering high performance and reliability at an affordable price. A battery powered EVC with the option of an external power supply, the miniELCOR is offers an excellent solution for metering and data collection, at a cost-effective price. 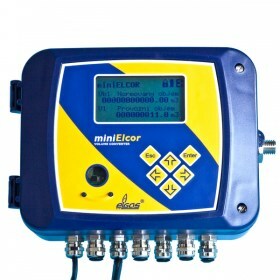 To provide telemetry data collection the miniELCOR can be installed with GSM/GPRS communicator AMR. A battery powered EVC with an integrated GSM/GPRS modem, with the option of supply from external power source. The single or dual channel maxiELCOR, with large variability of expansion boards, offers a complete solution for telemetry data collection and billing.